Slightly thicker, 1.2mm shells allow the Metalworks snare drums to perform at their maximum potential. A black nickel finish creates a unique, industrial look that's the perfect visual match for sound of steel. 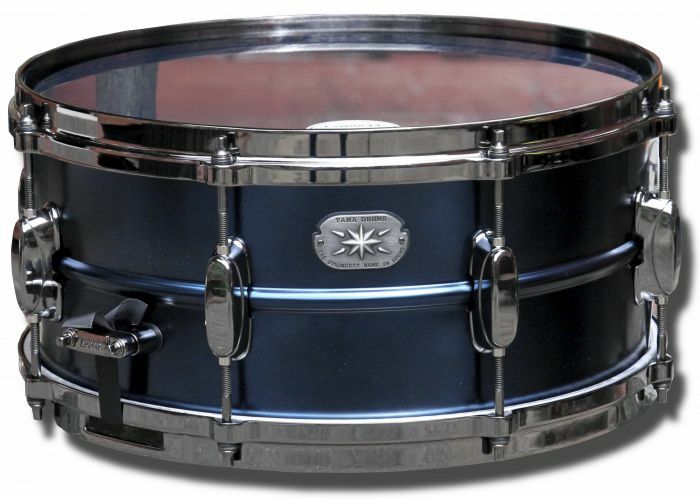 Includes a Evans black chrome head, Die-Cast hoops and is in a Fantastic Satin Indigo Metallic finish.